Later, after my daughter got married; I was sent by The Lord to Seoul, Korea to be a tent maker for over 24 years. I learned that prayer was not something that you did periodically when you were faced with a severe problem, but prayer was a way of life for the Korean people. The Koreans prayed before they drove their cars, they prayed upon entering their churches, they prayed everyday they prayed for their children, and they prayed in the City Hall area when their country needed God’s help. The Koreans’ prayers changed their nation during hard times over and over again. I asked my associate if she was ever concerned when one million North Koreans were lined up on our northern border? She said, “No, because we will go to the City Hall area, and thousands of our Christians from many churches will pray together. She told me that the good Lord always answered their prayers, and so they didn’t worry about their circumstances or The North Koreans. I have never seen such great faith among such a large group of people or a society. They prayed in love and unity. If only all people could learn the power that the church united in prayer has in every area of their lives. What a changed world this could and would be if we simply would pray The Korean Way. Every Sunday, The wonderful Lord’s Prayer was sung, “Thy Kingdom come; Thy will be done in earth as it is in heaven”. When we pray as Jesus Himself taught us, then The Holy Spirit moves mightily to bring The Kingdom of God into our territory. During this time; many of The Christian pastors along with their members visited the City Hall area in Seoul, Korea to pray. Many times, there were 25,000 to 30,000 Christians praying in the center of Seoul City. After that, to the glory of God, South Korea had a wonderful, Christian President that understood business and every aspect of government because he was head of the Hyundai Corp. He was also an Elder in his church. The Church is not to be passive to the evil deeds of darkness, but the Church is to be a House of Prayer for all people. It is to become a place where Spiritual Warfare is conducted to pray for our leaders, our families, our people and for our nations. The church is to become the Army of God on the earth. Dr. David Yonggi Cho always says that he simply “prays, listens and obeys”. It is very simple, but the Korean Way of Prayer is amazing, and the answers are life-changing, nation transforming, and out-of-this world. Dr. David Yonggi Cho was my sponsor and boss during the 24 plus years that I worked as his Managing Editor for The “Church Growth International” Ministry. Then this past year; he was “retired”. I learned so many things from him, and from the Korean people who had been under great threatenings and persecution from North Korea. However, their constant trials kept them on their knees, and Korea has the largest churches in the world. Most of the large churches in Korea also have Prayer Mountains where their people can go to pray, fast, seek The Lord and have wonderful fellowship and worship. Buses going up to Prayer Mountain leave every hour from The Yoido Full Gospel Church. It is a beautiful experience to visit these places of love, refuge and prayer. May these prayer mountains and prayer houses continue to grow all over the world to the glory of God. May You receive all of the worship and glory due to Your Name. 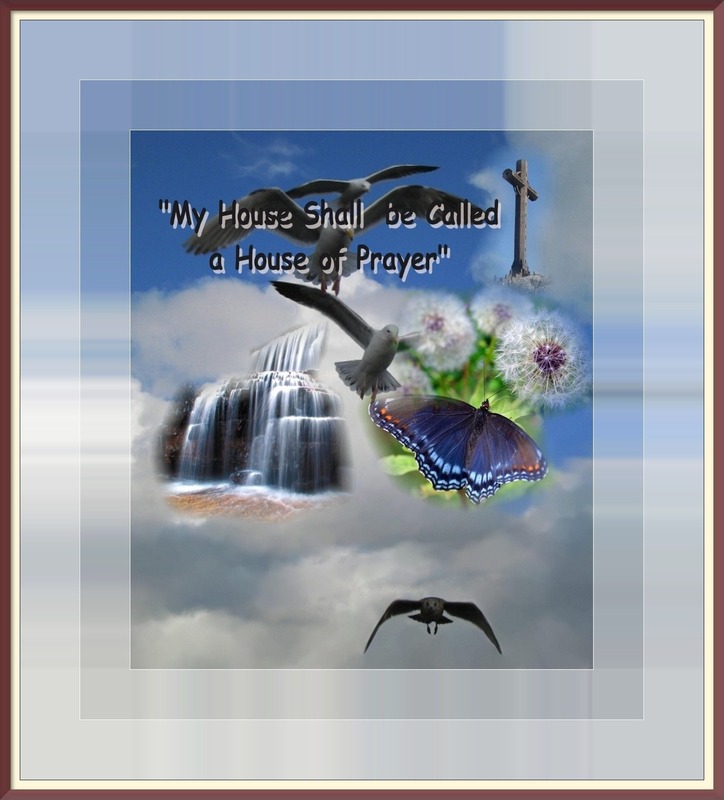 We pray that Your House will be make into a House of Prayer and that Your House will be a place of refuge, fasting and worship. Please deliver us from all harm, evil and temptations, and please bind up the broken-hearted, and heal all those who are ill. Please stop the evil in high places, and please destroy all of the works of Satan, and please exposed all of the evil deeds of darkness. Please bring in Your Kingdom upon this earth, and please bring in Your perfect will. For Thine is The Kingdom, power and glory for ever and ever, in Jesus Christ’s Name. Amen and amen. ← Where are All the Davids and Jehus Today?